Toronto Centre for Active Transportation (TCAT) and Cycle Toronto, in partnership with Toronto Public Health (TPH), presented Walk Cycle Move: the Annex a workshop on active transportation on November 27. 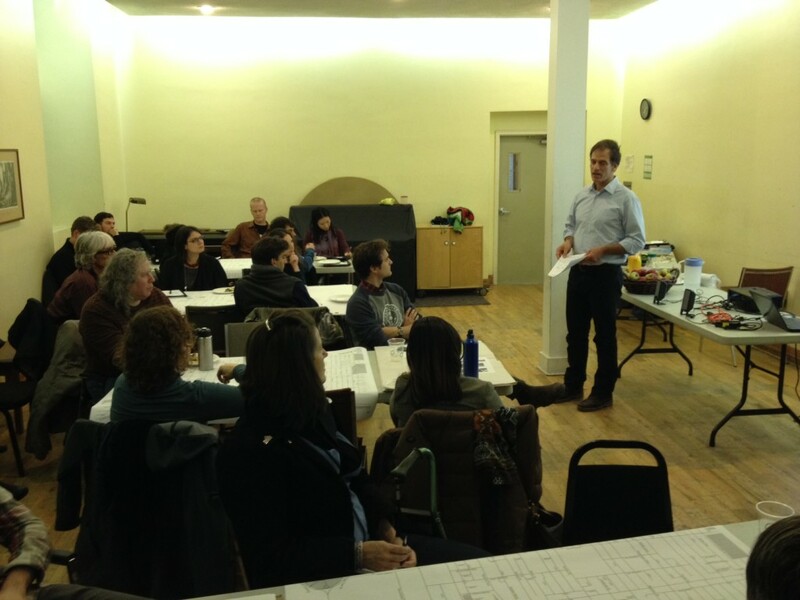 The Annex workshop was of special interest to dandyhorse considering the recent revitalization of the Environmental Assessment (EA) for Bloor bike lanes. TCAT, in partnership with Everdale and TPH, also held Walk Cycle Move: Black Creek on November 12 and 18. The meetings, meant to engage members of the community before most of the planning process is completed, also included the neighbourhoods of North York Centre and Cliffside. The community engagement project was born from the recommendations in the landmark TPH report called The Road to Health, published in April 2012. Ryan Whitney of TCAT, who acted as the Annex session facilitator, says the community showed the greatest support for bike lanes on Bloor. The Annex is one of Toronto’s most walkable neighbourhoods. Yet despite the high number of pedestrians and cyclists who live, work, and travel through the area every day, the streets in the Annex remain unbalanced: and the scales are not tipped in favour of cyclists. 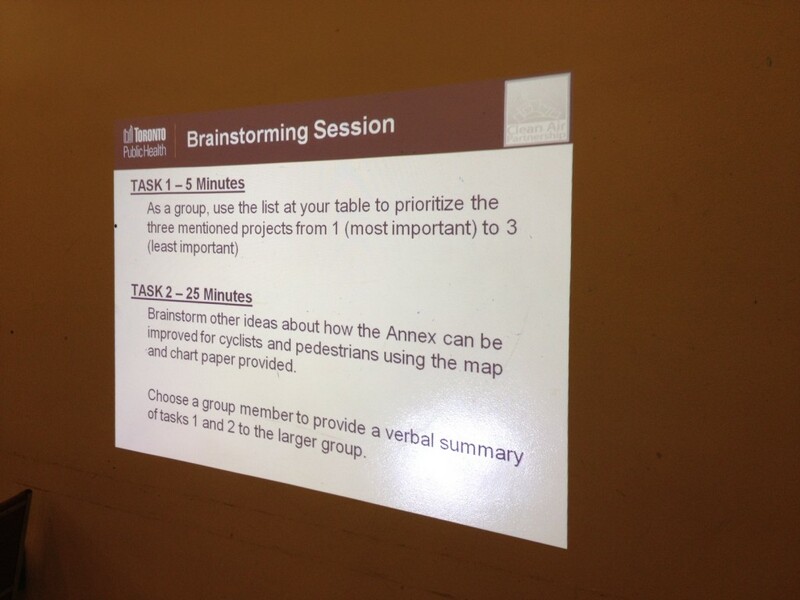 “The Annex has a high level of readiness for active transport initiatives. It is a neighbourhood that is very receptive to these changes and the contrast between neighbourhoodsis informative to this study,” says Whitney. 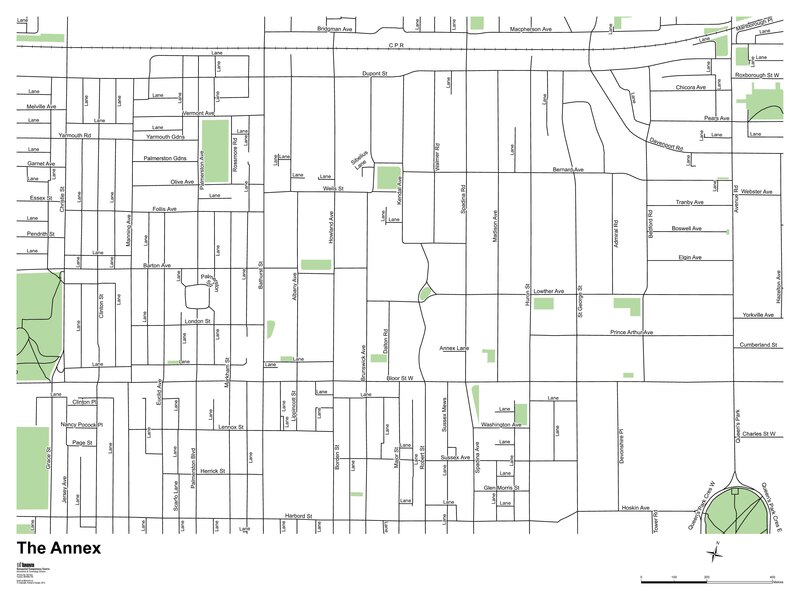 The Public Works and Infrastructure Committee recently approved an EA to study bike lanes on Bloor Street; the possibility of slower automobile speed limits on seven streets in the Annex has also been brought forward to Council; and Toronto Public Health will be working on a number of demonstration projects to potentially improve walking and cycling safety as a possible outcome of the Walk Cycle Move workshops. "It's an exciting new way of engaging communities in the urban planning process. 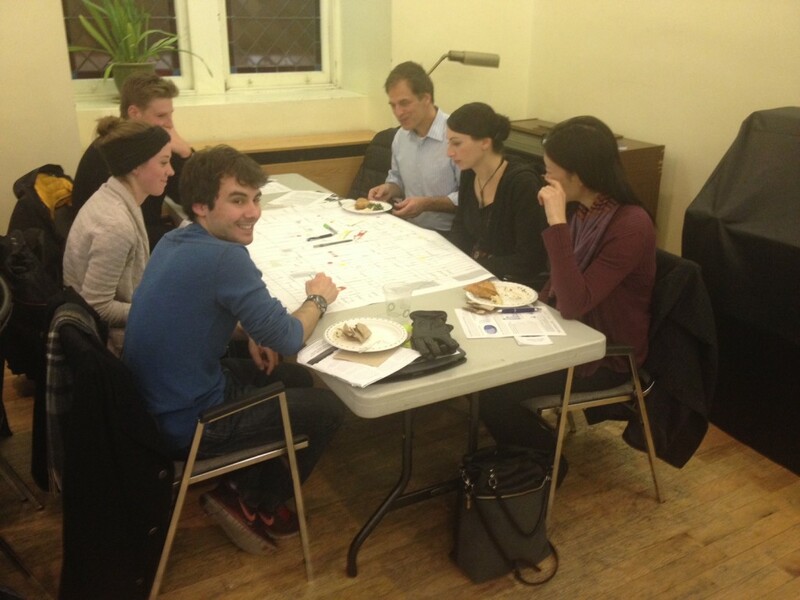 By getting the community involved earlier in the process we hope we can have better outcomes for active transportation." This work is being done as part of the Healthy Canada by Design CLASP project that is funded by the Canadian Partnership Against Cancer. 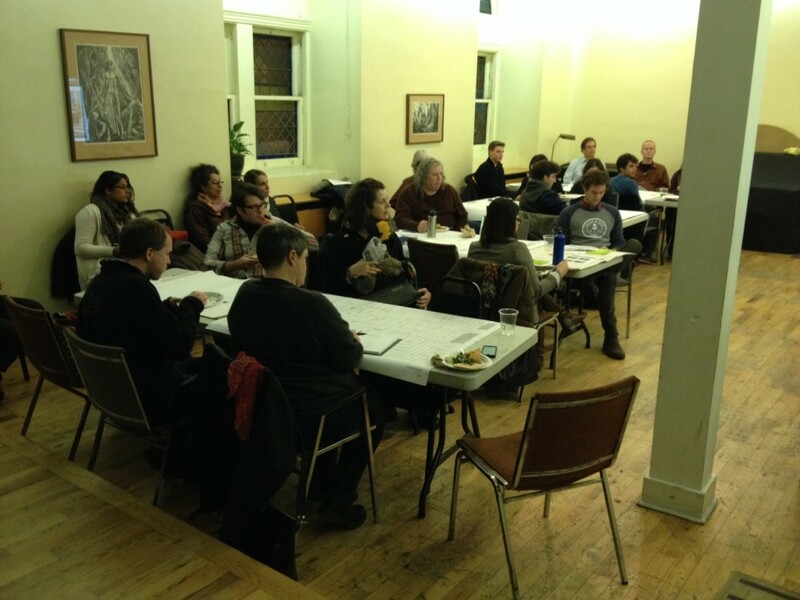 Participants interested in planning the future Annex streetscape. Albert Koehl discussing how pedestrians and cyclists mean more business. 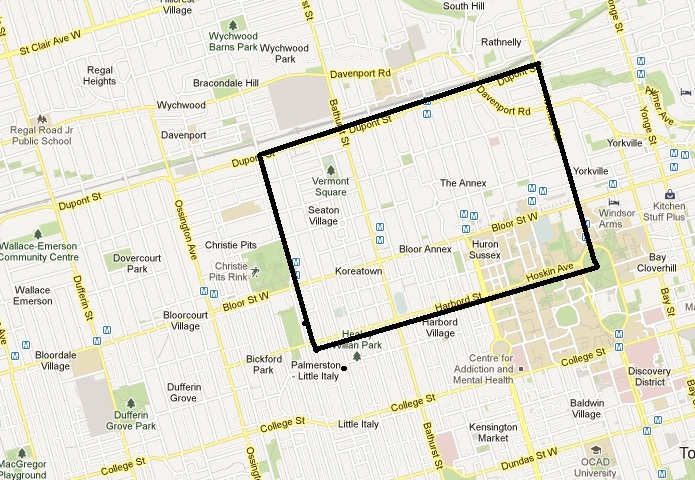 For this work, the Annex was defined by Dupont, Avenue, Harbord, Christie/Grace. dandyCOMMUTE: Send us your story by Dec. 15 , win a bike!